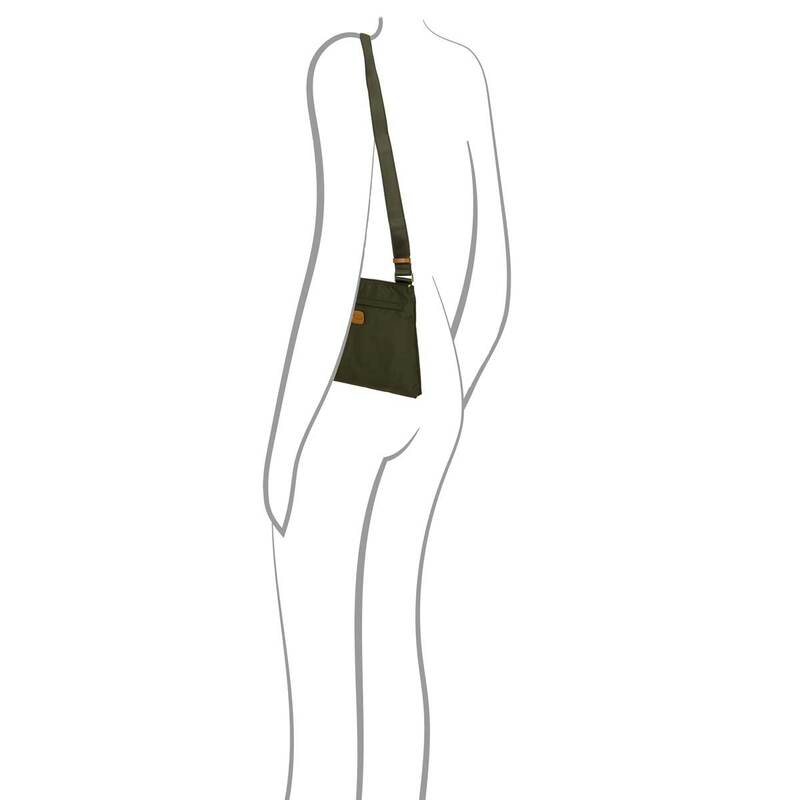 Crossbody bag from Bric's X-Travel collection. 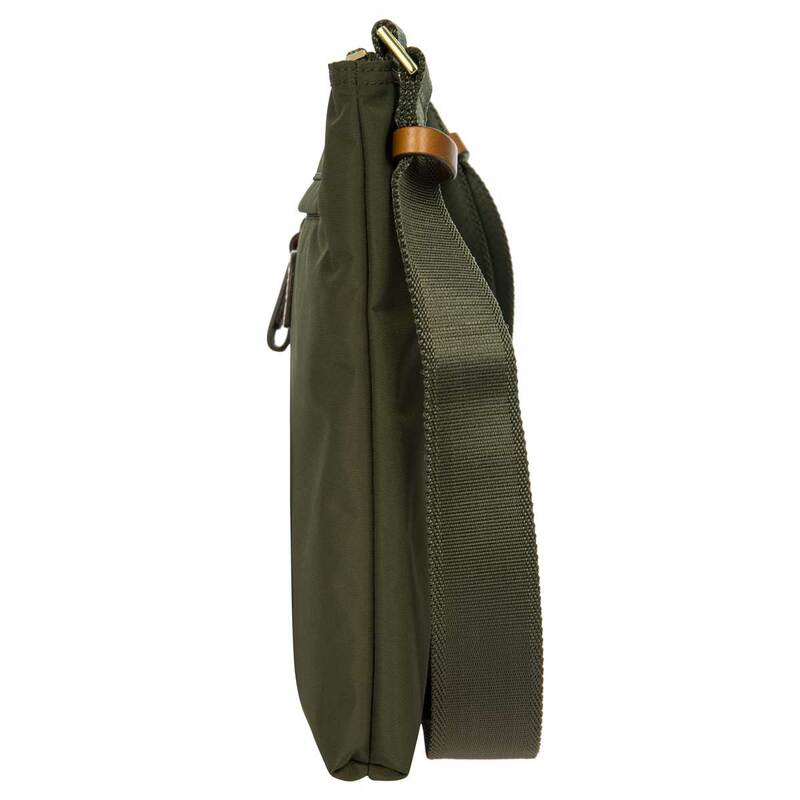 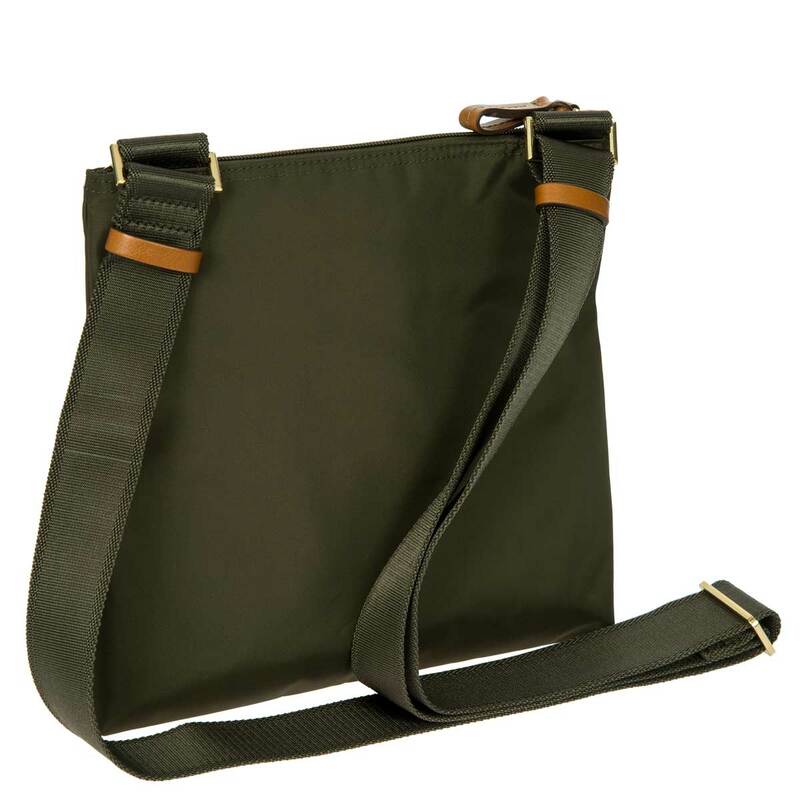 This durable bag comes in a nylon material that gives it a modern look. 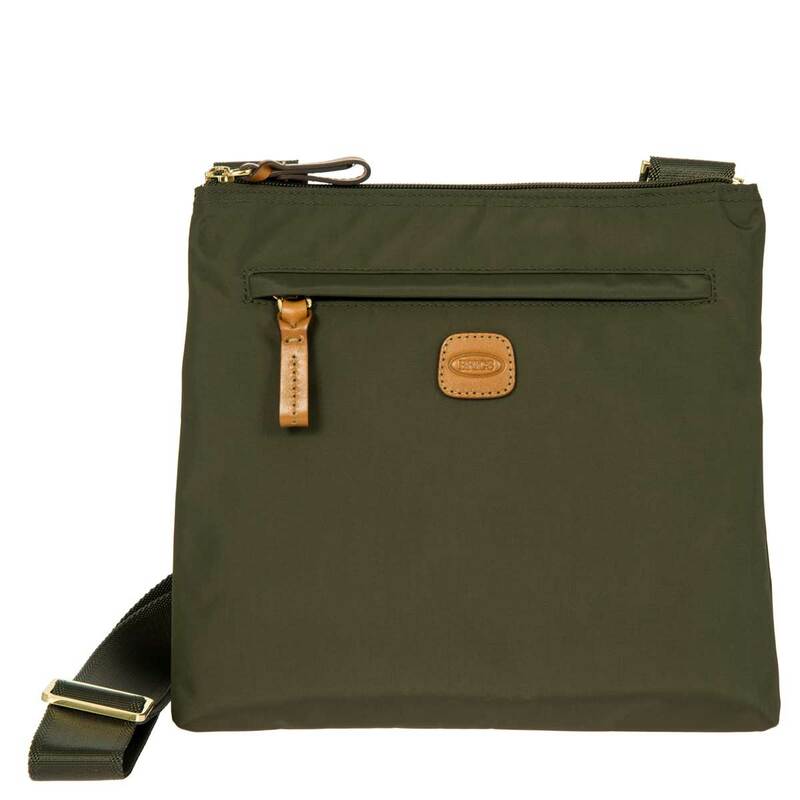 The vegetable tanned Tuscan leather details provide an elegant touch. 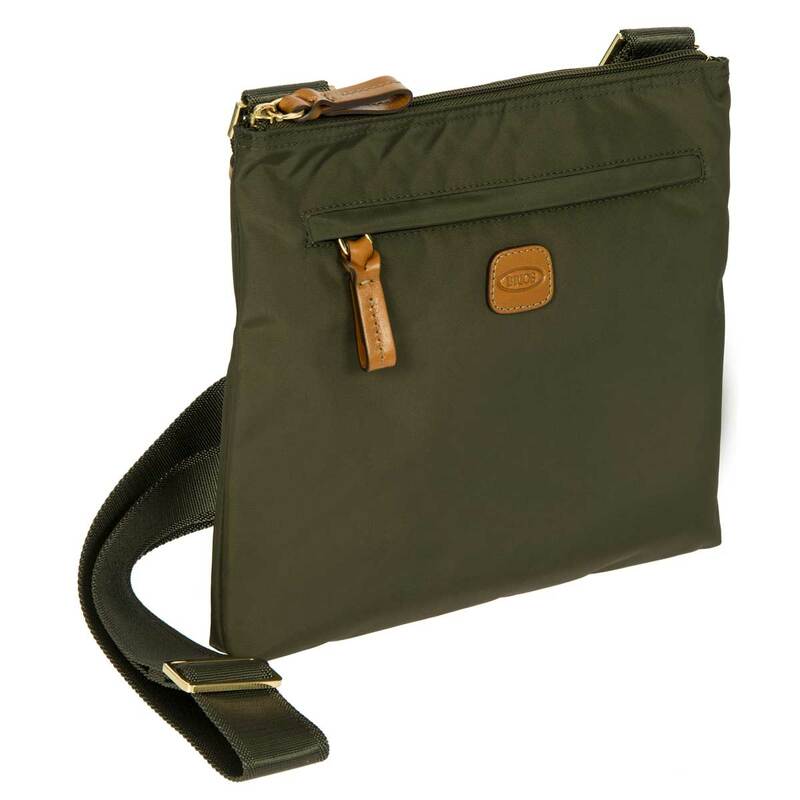 EXTERIOR: adjustable handle strap, a zip main zipper compartment, that will accomodate a mini iPad, and a front zipper pocket. 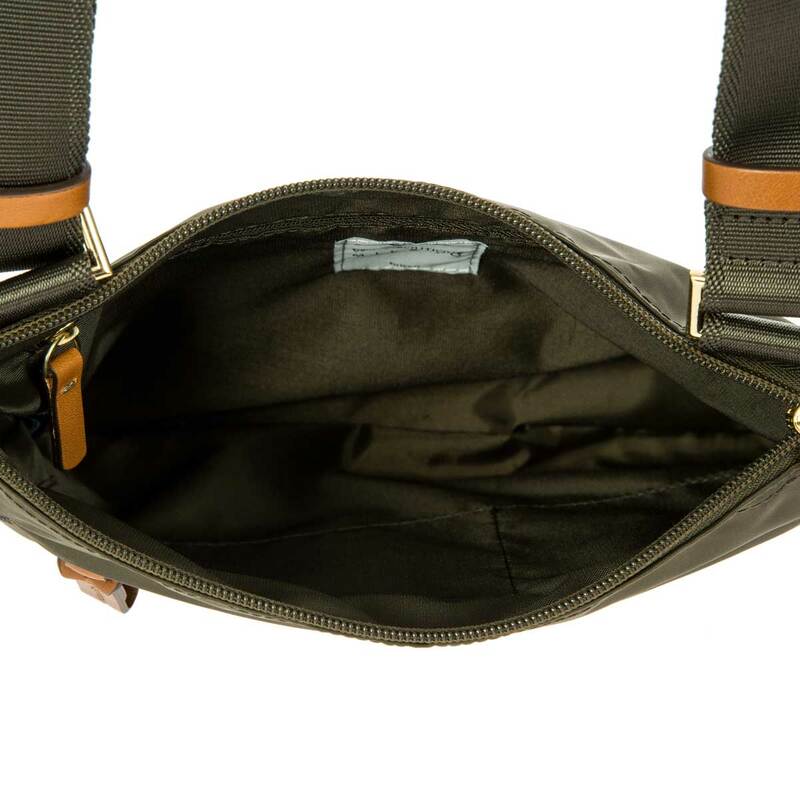 INTERIOR: a zipper pocket and 2 small compartments to accomodate small accessories such as phone, wallet and keys.